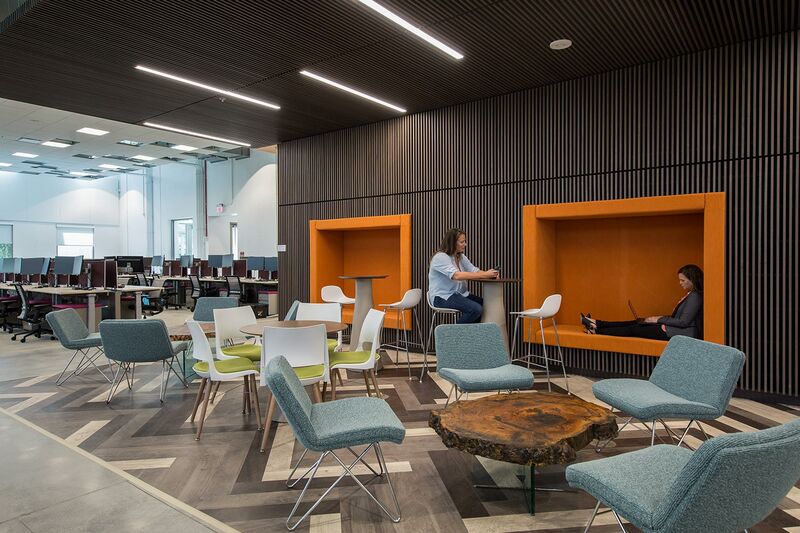 This technology client’s corporate campus is part of what the company is calling a reinvention of culture. 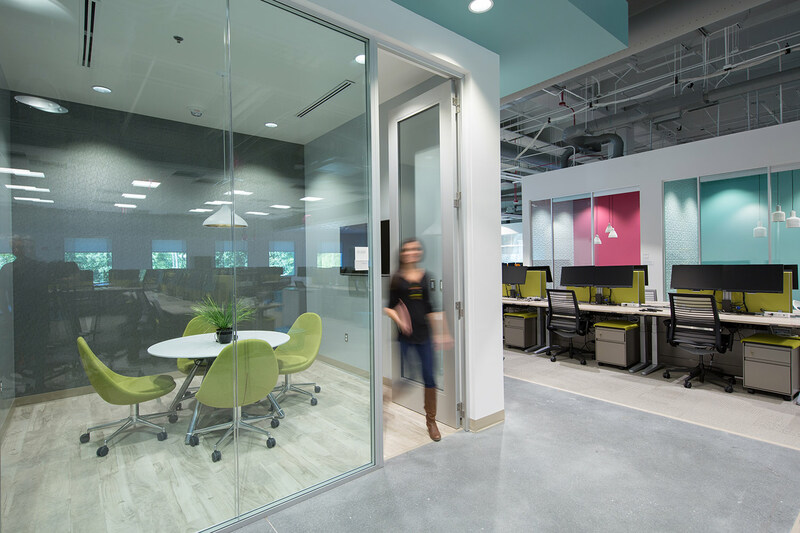 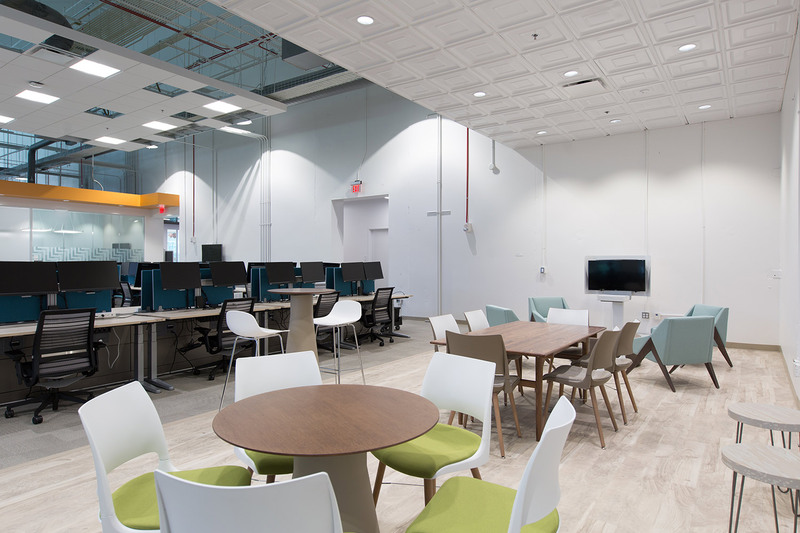 Their existing 40,000 SF call center was slated to hold a 400-member inside sales team while also achieving some of the most stringent sustainability and employee wellness features in the market. 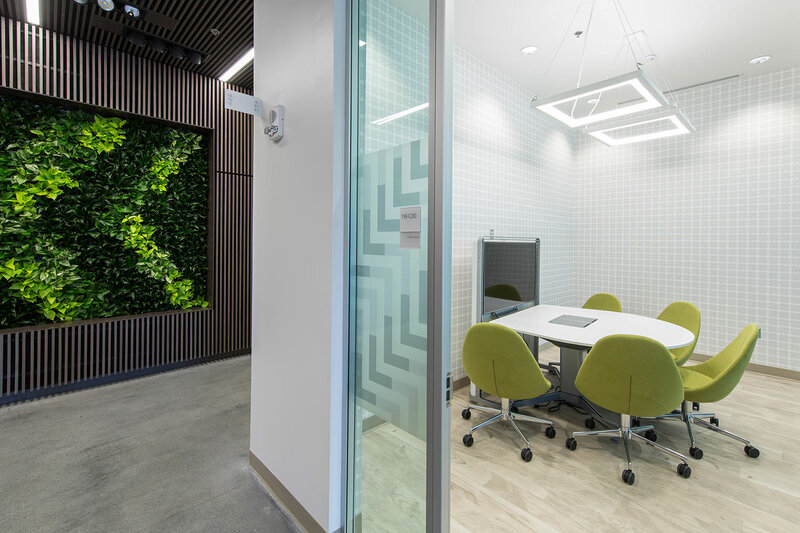 Spaces are strategically designed to foster collaboration and inspire creativity within areas providing room for small and large team meetings. 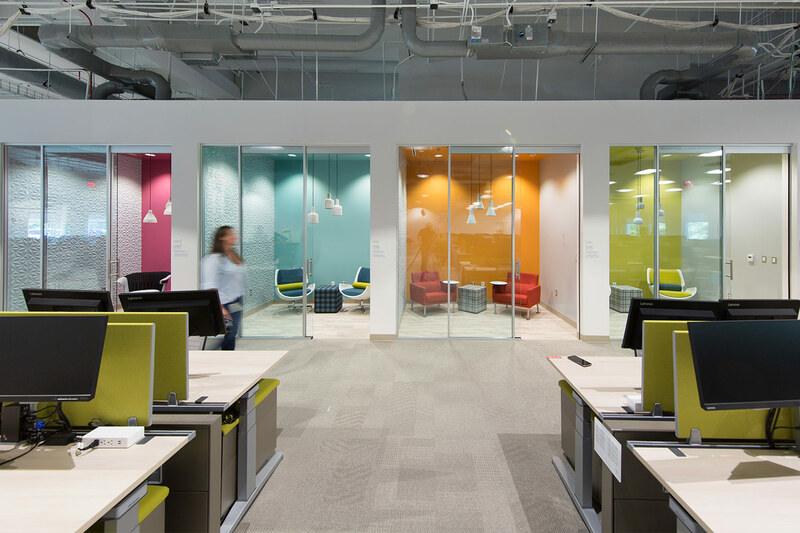 New windows were added to the top area of a high-bay space to provide additional daylight for employees and circadian lighting design strategies were implemented to support performance and productivity.